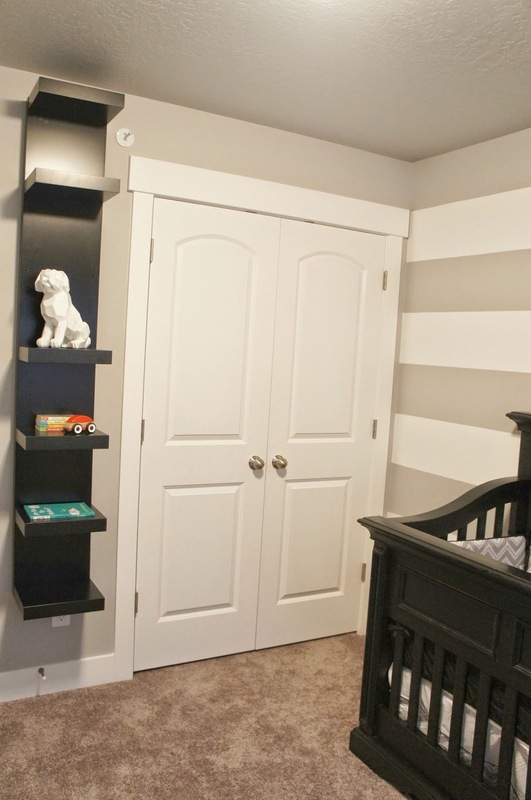 For some reason the walls look a little tan in these pictures, they are actually grey! I am going to add a little bit of color with some light blue decorations but for the most part it is done and I was so excited to show it off! 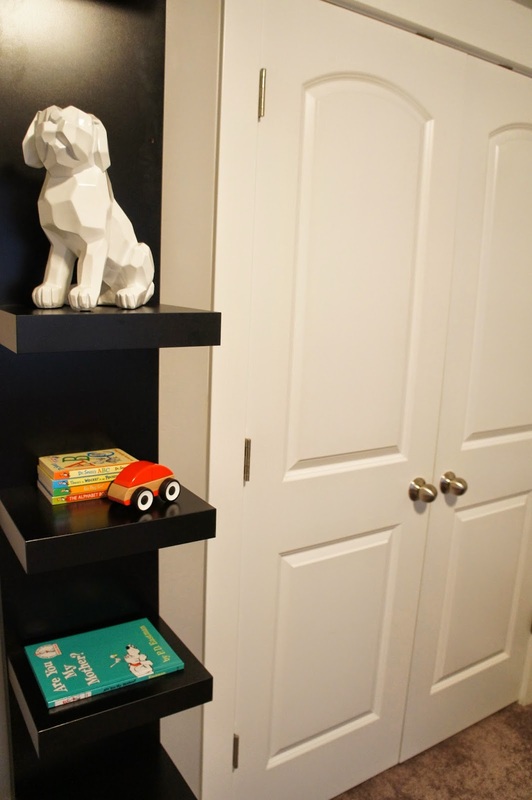 We wanted to keep our nursery pretty simple, we aren't into the cheesy baby decorations so we stuck with kind of a modern theme. 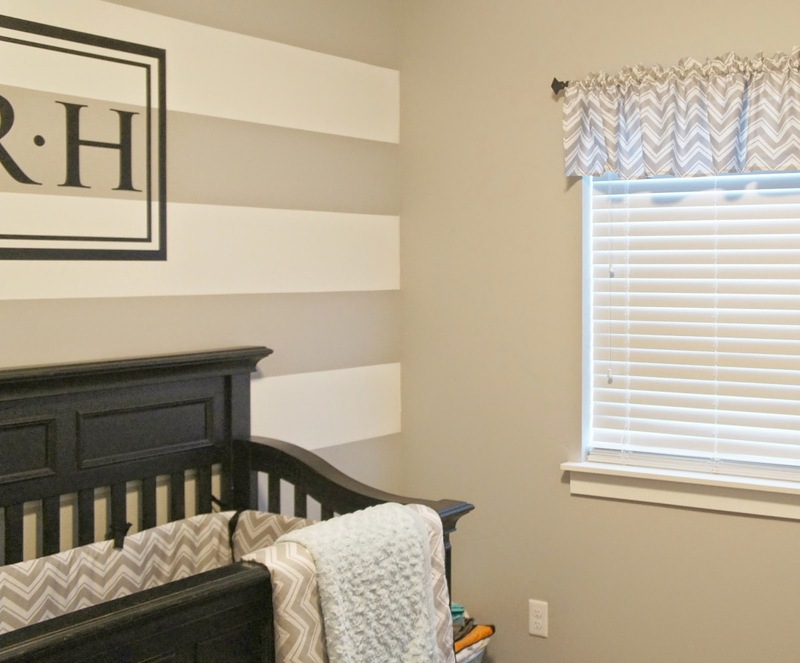 My sweet husband painted the stripes on the wall while I watched with a huge smile on my face! I love the stripes and monogram (Rob picked that out too) it is exactly what I wanted! Soooo cute! I love the crib! 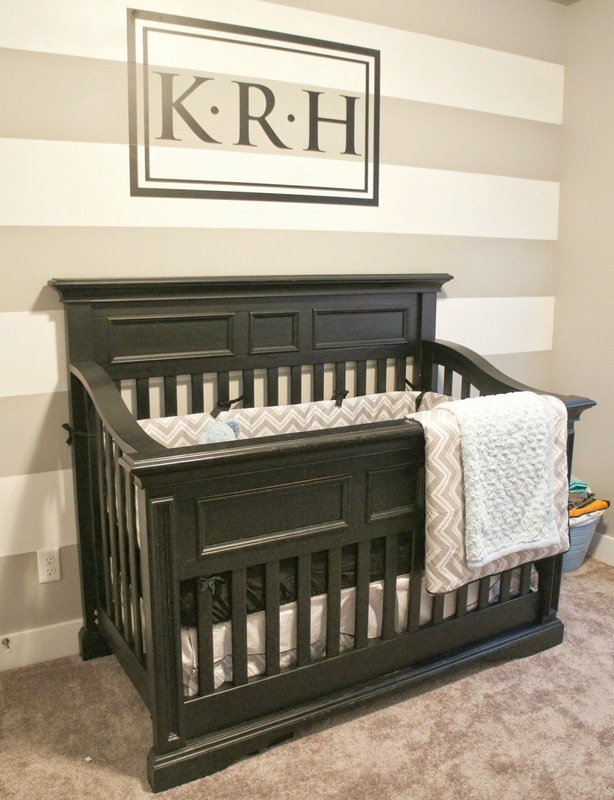 Love the monogram and stripes! We are having our first baby, a boy also, in November! 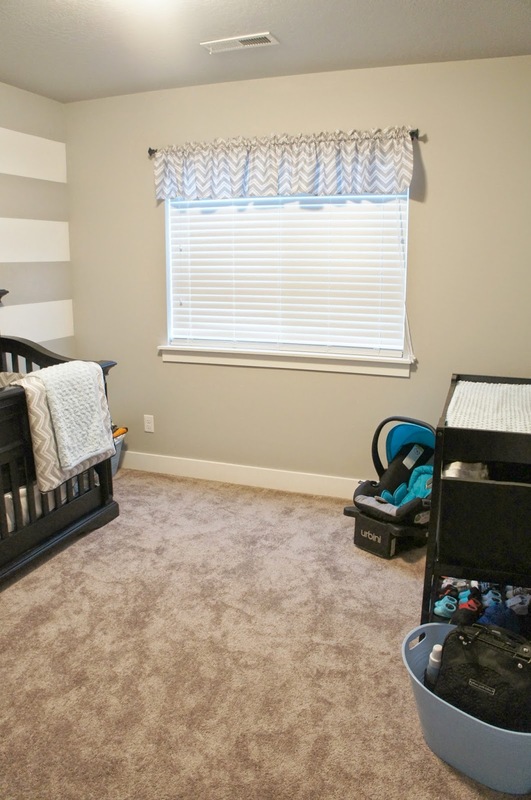 We also opted for a less "babyish" nursery and our stripes are almost the same shade but vertical and only half of the wall and the bottom is painted light blue. We also wentvwith a nautical theme which I love. Love seeing your updates!